Bioplastech Ltd is an SME with patented technology for the manufacture and processing of a range of biodegradable and biocompatible polymers from sustainable and waste resources. BIOPLASTECH is also a product developer and solutions provider. The company’s success to date has been the production of bio-polymers known as medium chain length polyhydroxyalkanoate (mclPHA). These mclPHAs are elastomers and are more flexible than any other PHA-polymer currently on the market. They are fully bio-degradable blends and additives, ideal for commodity and packaging applications. They can also be used in their pure form for medical devices or as blends or additives to enhance flexibility and strength of other polymers. BIOPLASTECH currently holds the licence for the patented technology involved in the conversion of PET to PHA. BIOPLASTECH will be involved in four work packages during the P4SB-project. During WP4 (Product formation and diversification) BIOPLASTECH will produce PHA from P4SB-substrates using P4SB-synthetic organisms in 5L fermentation to benchmark, validate, and select viable processes for modelling and scale up. For WP5 (Product release) BIOPLASTECH will perform an assessment of a range of chemical and physical lysis methodologies for product release and perform a benchmark process of these techniques with new biologically mediated processes developed by RWTH, BCM, UFZ and CSIC. In WP8 (Dissemination and exploitation) BIOPLASTECH will benchmark the P4SB-project with regards to its industrial viability and commercialisation, by validating successful P4SB processes on semi-pilot scale fermentation. Dr. Shane Kenny is BIOPLASTECH’s director of bio-processing, he holds a PhD in industrial microbiology from UCD. 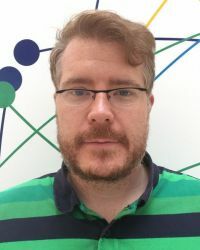 He subsequently worked for two years as a postdoctoral researcher in the field of industrial bio-polymer research in UCD where he was responsible for the co-mentoring of Degree, MSc and PhD students. Dr. Kenny has been leading the manufacturing and research programmes of BIOPLASTECH for the last two years. In this role he has been responsible for the supervision of all of the technical and research staff at BIOPLASTECH. This involves design and operation of pilot scale equipment both in Ireland and internationally. Meg Walsh is a biotechnology specialist with a wide variety of expertise in the conversion of various organic wastes to biopolymers. She completed a PhD on the conversion of various biobased waste products to polyhydroxyalkanoates in Bioplastech under the supervision of Professor Kevin O’Connor in UCD and Dr. Shane Kenny in Bioplastech in June 2017. Prior to her PhD Meg worked extensively on commercial synthetic biology projects. 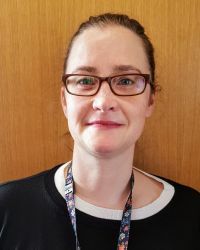 As part of Meg’s involvement in P4SB she will be screening novel synthetic organisms produced by other partners for their ability to produce PHAs and will also work to develop novel downstream PHA recovery methods.